And before that, when I was a kid, it ended at a stop sign at Regency Road. The post for the stop sign was mounted in a 44-gallon drum of dirt, or maybe concrete, and Regency Road had no kerb along the northern side. You had to use Days Road to get to Grand Junction Road. Christ, what century was that in? The 20th century. Have a look at the 1940 street directory online at https://mapshop.net.au/fullers/full1940.htm - particularly maps 7 and 13. 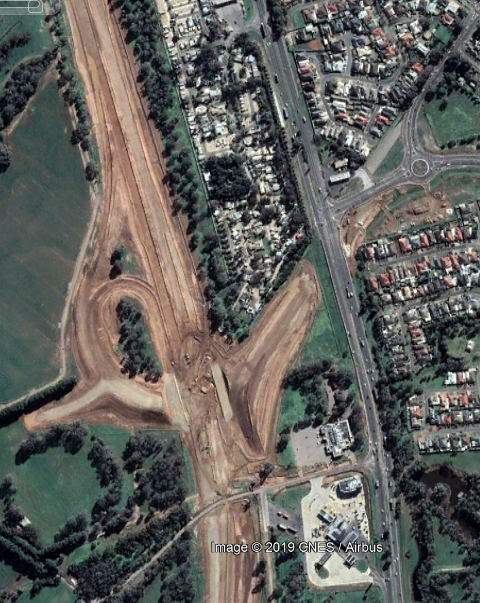 By then, it looks like South Road's current alignment had been widened up to Torrens Road (except for Taylor's Bridge), but not yet given a single name north of what is now Sir Donald Bradman Drive. 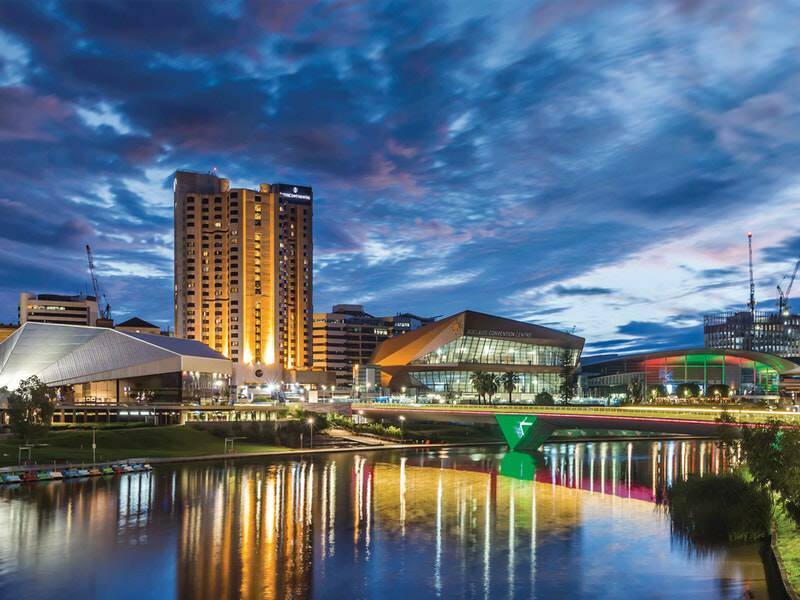 It hadn't been built past Torrens Road by then. I reckon that street directory was published either late or post war. I couldn't find a publication date but I was looking at the Henley Beach map & noticed Coral Sea Road was there. There are several other streets listed referring to WW2 battles too (Tobruk, Kokoda, Lexington etc). (Plus, it's also possible there was a ban on the production & sale of maps during the war, but I'm not certain of that). I would say it is a post war directory, because the land for Adelaide Airport is depicted, along with West Beach Road and Morphett Road shown as closed roads. The site for Adelaide Airport was selected in 1946 (but the airport was not built until 1955, and opened in 1956), so I would say the directory is from the late 1940s. It's interesting that Burbridge Road is not depicted at all, west of May Tce, but Airport Road exists, even though it was not on the standard grid survey of the Adelaide Plains. Would you guys be able to scan some of these maps and post them? Would be interesting to see and compare to a current map. I came accross the following post on reddit.com (https://www.reddit.com/r/australia/comm ... xplain_to/) that is an interesting explanation of the use of concrete versus asphalt on the Northern Connector. 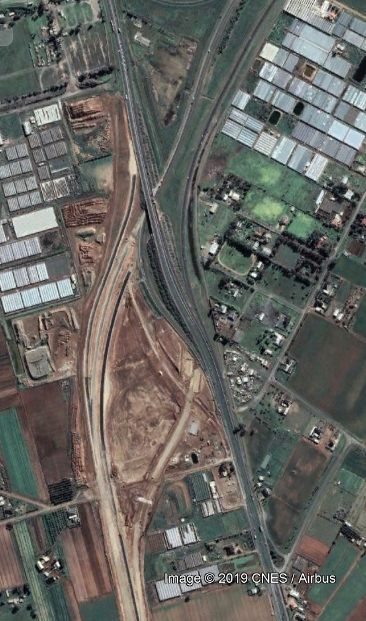 I'm currently working on Adelaide's Northern Connector Project, a 15km long stretch of concrete road joining the South Road Superway to the Northern Expressway. Some notes from the project. The main alignment is being done in concrete. It's two layers, one of 5Mpa concrete as a base layer and one 40Mpa as a wearing surface. Total depth is 450-500mm. Everything that's not the main alignment is asphalt. Varies from four layers (~200mm) to seven layers (~400mm) depending on what traffic the section is going to get. Now as for the whys. It's much quicker to lay the concrete then it is the asphalt. They've got a continuous laying machine that builds the whole road width at once that they just dump concrete in front of. The project has it's own concrete batch plant to provide that. To build the same toughness of road out of asphalt would take eight or nine layers, three runs with the paver to fill in the whole width. The concrete is only easy for big long straight sections. Anything with lane merges, corners or roundabouts has to be asphalt because that can be varied as it is laid. The concrete cannot be repaired short of being torn up and redone. We've had to pull out a 200m section already because it cracked wrong as it set. Asphalt is much more forgiving, because we can patch sections or occasionally just cover them over with the next layer. Asphalt starts as a really smooth surface from the laying and rolling process, and wears to a rough surface because it's a mix of different types of material. Concrete starts rough because of the finishing technique, but with use the surface wears smooth. Concrete is noisier. It's a much smoother surface which means the sound reflects better. Asphalt (particularly under Australian conditions) will heal slightly. Hot days plus traffic will roll the surface again, closing up small cracks before they grow into big cracks. Concrete won't close, and cracks will just grow over the lifetime. Particularly because they can't lay reinforcing in the concrete for a road like they would in a building. I'll PM some to you unless there's a thread with these photos or scans? SBD's post yesterday http://www.sensational-adelaide.com/for ... 01#p176901 in this thread has the link to the complete scanned directory. Interesting to think too, that if you had been thinking about it then you wouldn't have predicted that the little streets that eventually converted into what we know as South Road would one day end up to be the main road for the entire city (or at least a contender for the status). Makes you wonder what future changes are simply not imaginable to us today. Southern Interchange, progressing very quickly the past couple of months. 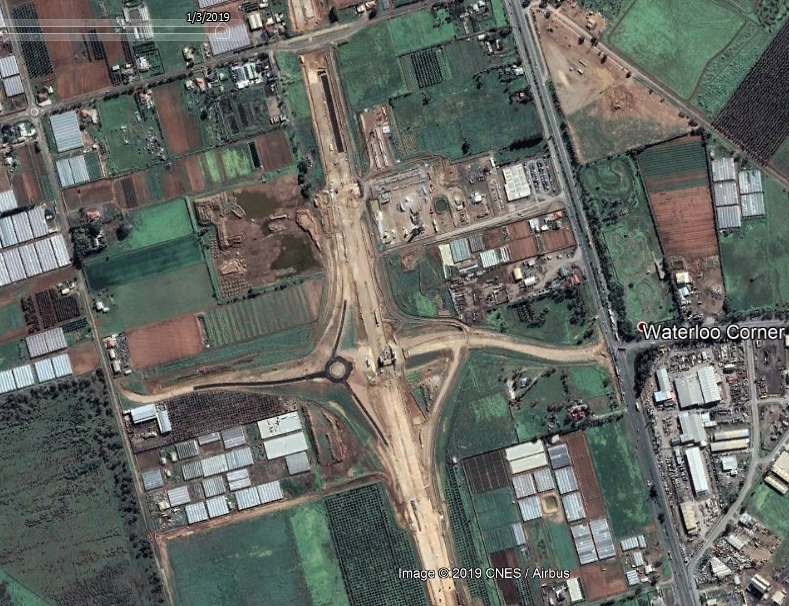 Kings Road + Port Wakefield Road interchange. Northern Interchange, where the Northern Connector joins NExy. * Actually, these were taken from Google Earth. Sorry. 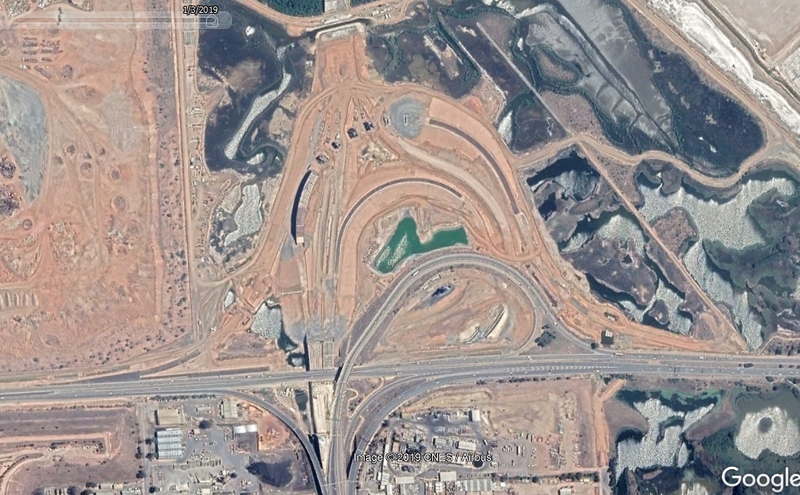 The photography for the Bolivar, Waterloo Corner and Northern interchanges dates to 9 August 2018 and has been up on Google Earth for a while. The updates (as at 3 January 2019) only cover the area south of Dry Creek all the way to Darlington. Damn - you're right. At least there's an updated shot of the Southern Interchange.